High Performing Teams do however exist and these are the teams that are capable of bringing about "tectonic" transformations that can reinvigorate organisations, markets and economies. Whilst much has been written about what these teams look like, the fixation with replicating their success, which challenges organisations around the globe, obscures the fundamental principles. This is best expressed by paraphrasing a wise client who recently pointed out, "When you want people to be inspired, you don't tell them to be inspired." So, when you need a High Performing Team, you don't accomplish this by selecting some 'great talent' and telling them to be a 'High Performing Team'. We support the development of High Performing Teams, be this at leadership team level, strategic/key account teams, virtual teams; indeed any collaborative teaming activity that impacts the customer's realisation of value and consequently drives business performance. What marks out the approach as different is the application of key insights from human physiology and psychology that optimise human interactions whilst elevating the outputs that a team is capable of achieving. 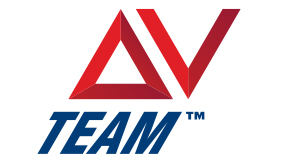 TEAM ΔV™ is our signature programme geared to acceleration of your team performance. The programme come with an uncompromising message of working both harder and smarter. Perfect for the ambitious in pursuit of world-class performance, but a "health warning" for the faint of heart. Invaluable for business leaders who seek to drive a significantly higher degree of predictability in the performance of their teams. Founded on principles recognised in high performance environments such as elite sport and the military, validated by the academic literature and featured in bestsellers (such as 'The Wisdom of Teams: Creating the High-Performance Organization' authored by Jon R. Katzenbach and Douglas K. Smith), the Triple E TEAM ΔV™ approach is tried and tested in addressing the necessary inputs to create your own High Performing Team(s). The high pressure world of global strategic customer accounts is just one example of an environment where the TEAM ΔV™ approach has relevance. The costs of "so-so" performance in this domain can be challenging to business continuity. Equally the potential of a high performing national sales team to generate an iconic status for the company brand is not to be underestimated.